Krampus, Salzburg Austria. Might not be right, but I love a scary scary holiday creature intended to strike fear in the hearts of children. Doesn’t everyone? You are right across the board, Denise! 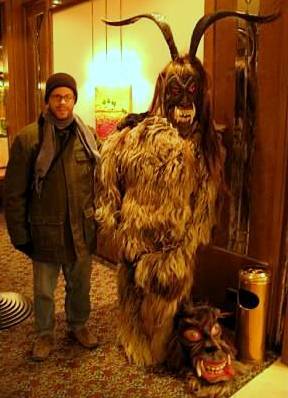 This is ein Krampus, scaring the bejeezus out of hotel guests in Salzburg, Austria.